Apple has updated the iOS Apple Store app with Siri Shortcuts integration. The update brings the app to version 5.2, and it adds delivery options as well as voice-activated Siri Shortcuts. 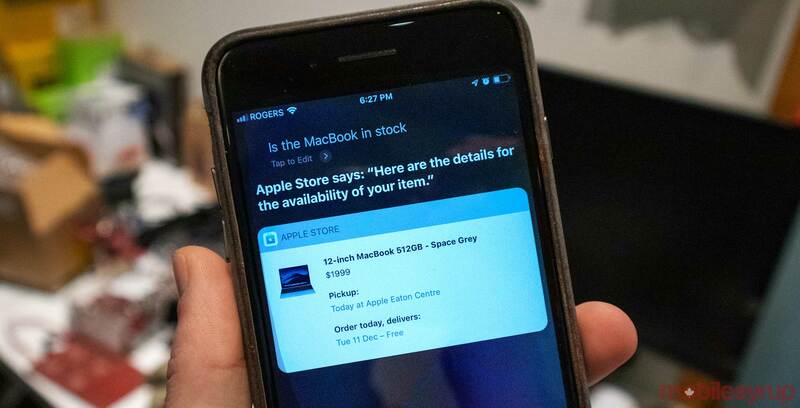 Users can activate a Siri Shortcut by selecting an item they want to buy and then clicking the delivery options button at the top of the screen. It then slides down to reveal a pickup in store option. If you select ‘Pickup in Store’ and scroll to the bottom of the list, you’ll see the ability to add a Siri Shortcut. When you select the option, you can record a phrase like, “is the MacBook in stock.” Then repeating that phrase to Siri later will reward you with the availability of the product you selected.